During my recent sojourn in Moro land, particularly in Cotabato City, I had the chance of visiting the Sultan Hassanal Bolkiah Masjid, which according to MindaNews is the grandest in the Philippines. 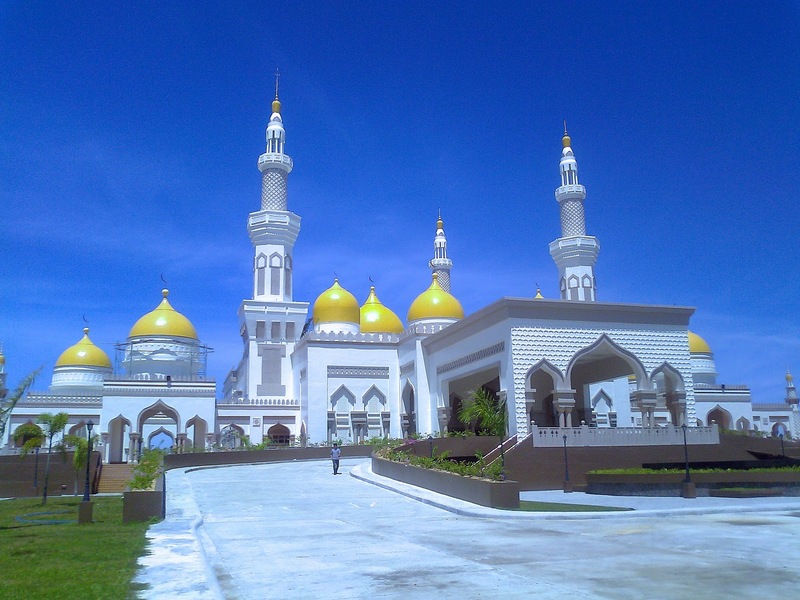 MindaNews added that "the grandeur of the Sultan Hassanal Bolkiah Masjid (Muslim center of worship), which reportedly costs $48 million, dominates the landscape where the Mosque was built and backdropped by the Moro Gulf. 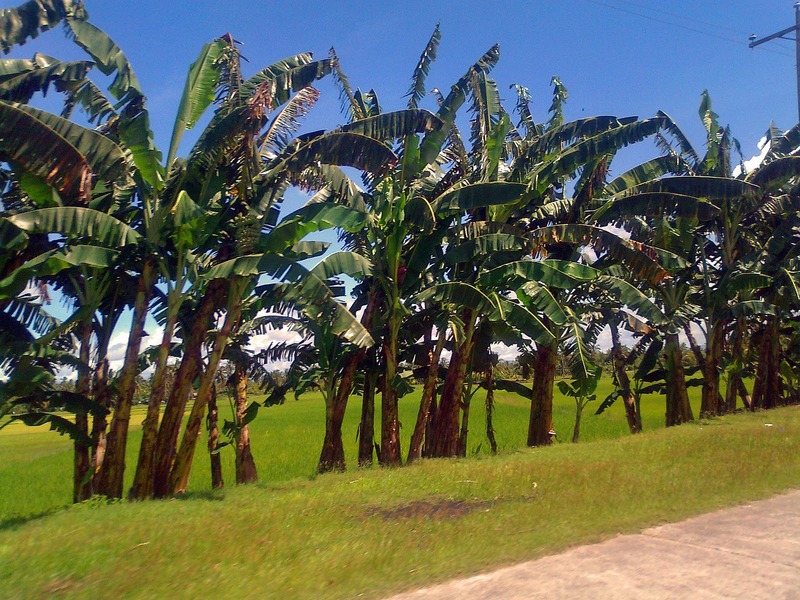 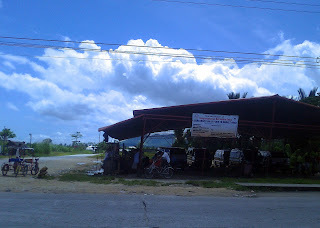 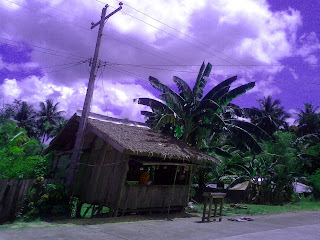 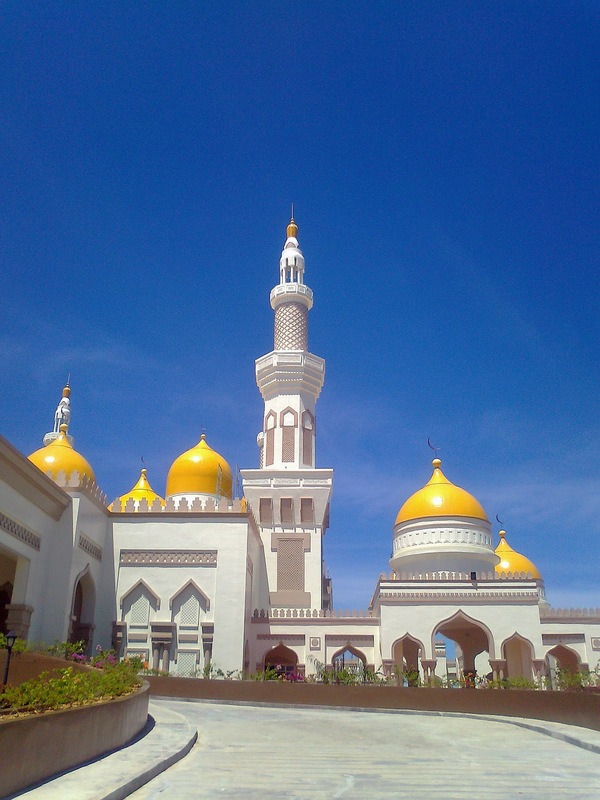 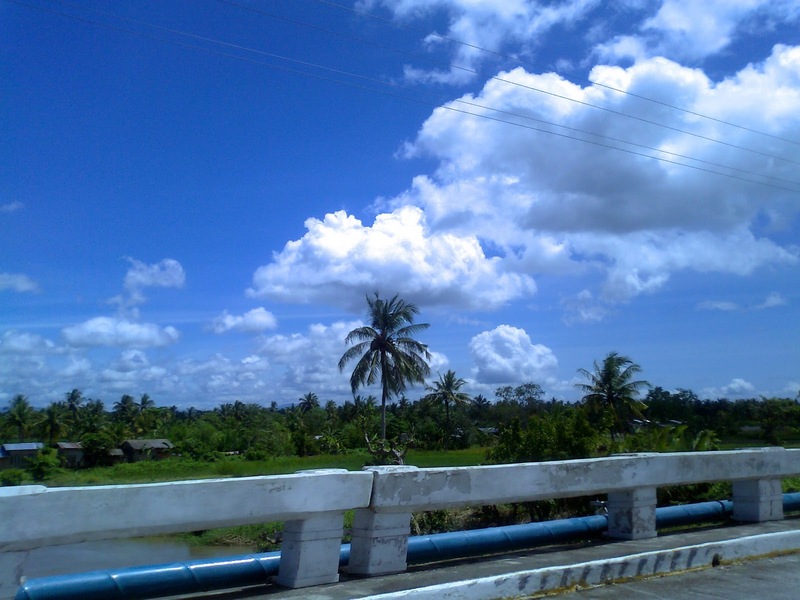 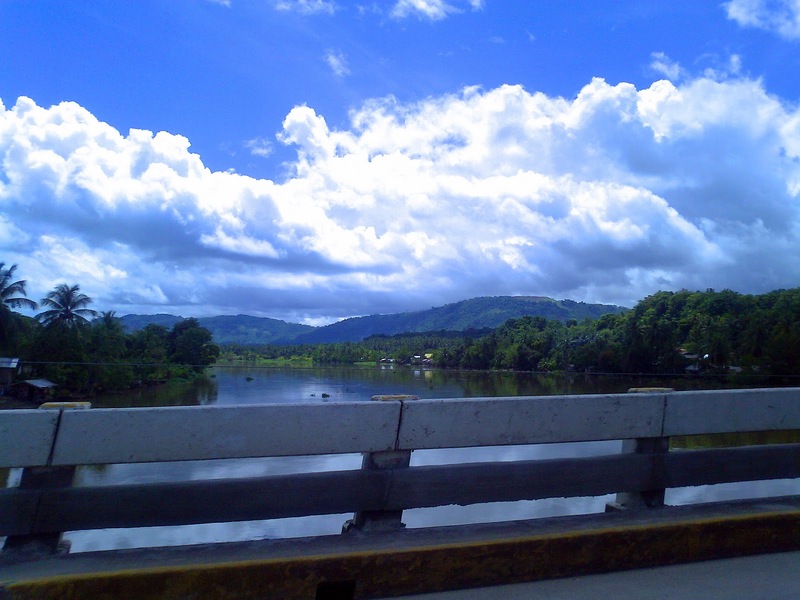 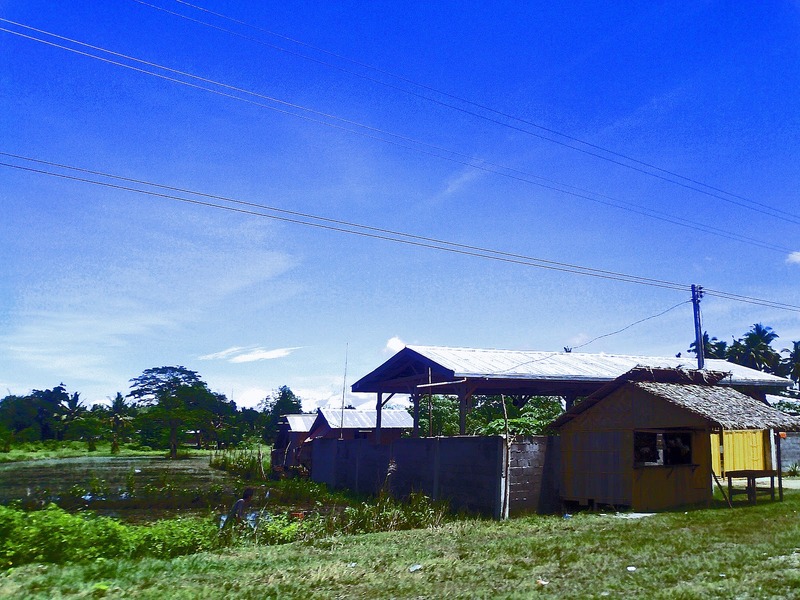 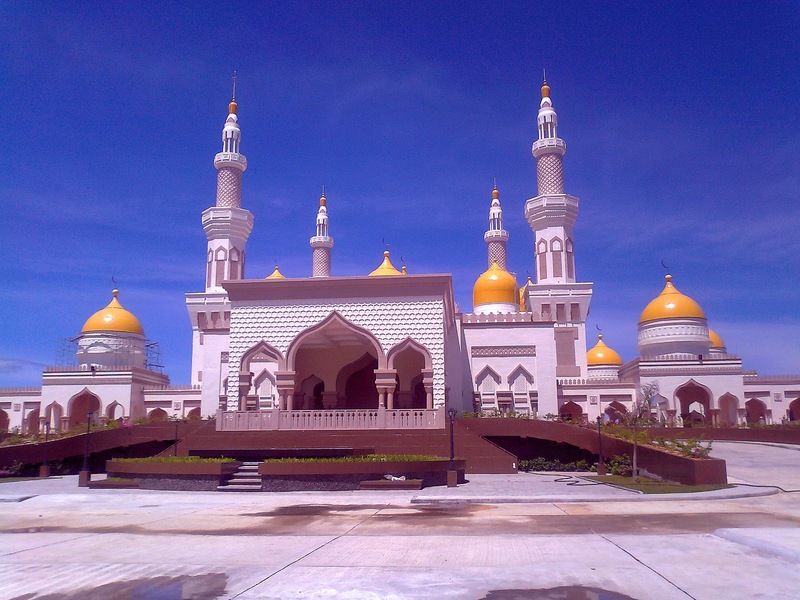 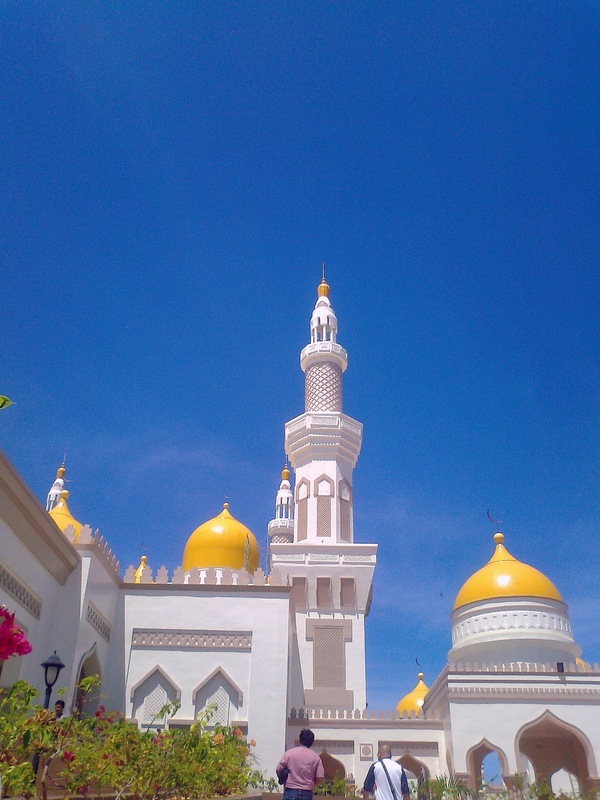 The news organization revealed that the construction of the Mosque was "Partly funded by Brunei and designed by the renowned Philippine architectural firm Palafox Associates, the mosque in Kalanganan Dos, some eight kilometers from the main road, is being constructed by the Manila-based New Kanlaon Construction, Inc."
Below are the sights one will see on his way to the multi-million dollar mosque. 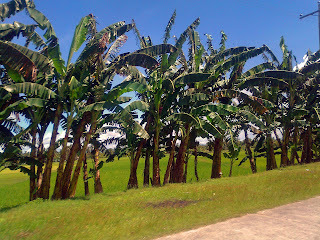 As always, Cotabato is very green. 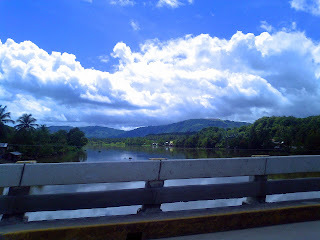 Thanks to its bountiful water sources. 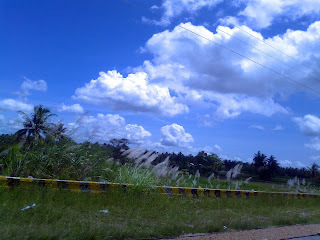 The sky is always blue too, mainly because of very low emisson of fossil fuel. 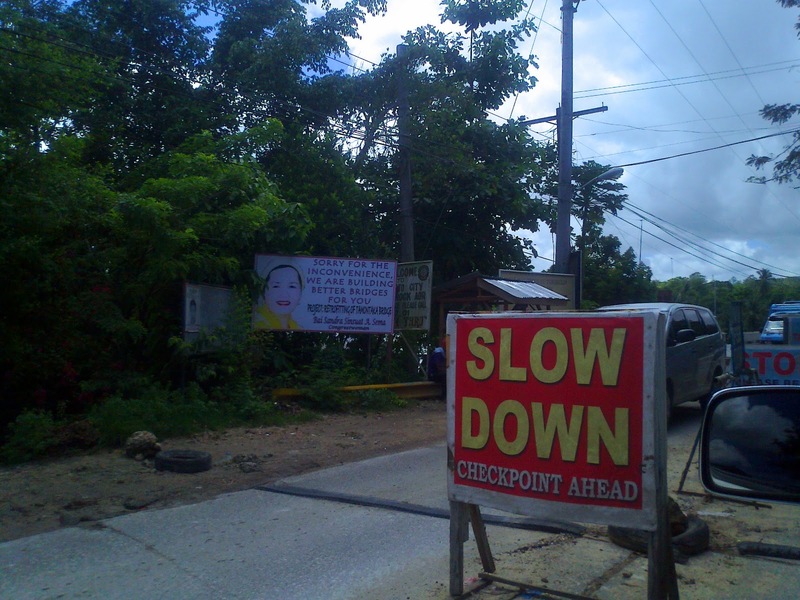 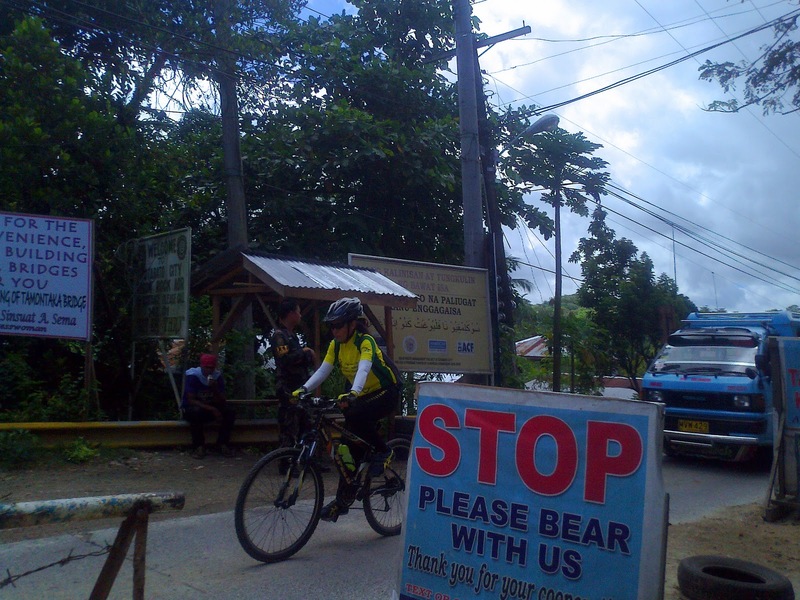 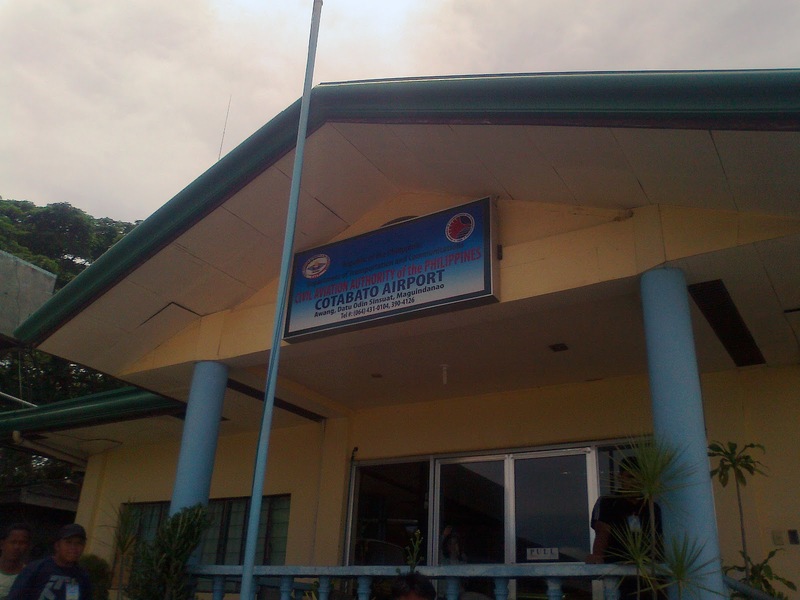 The military and police checkpoints below is a reminder of the peace and order situation in the Autonomous Region of Muslim Mindanao, where the Moros are fighting for self-governance. 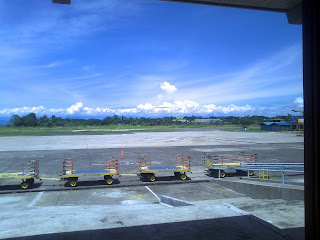 I took this picture upon arrival at the airport and was immediately accosted by a gun-wielding airport security personnel asking me what is my purpose for taking the pictures. 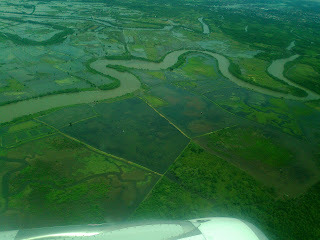 An aerial view of the rich landscape of Cotabato City, where much of the rice in the ARMM are planted. braaaad! 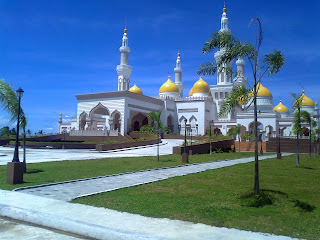 ito ba yung bagong masjid na funded ni sultan bolkiah? ganda!